Barbara Bluman is the author of I Have My Mother's Eyes: A Holocaust Memoir Across Generations (Ronsdale, 2009), the story of her mother's Holocaust journey from Warsaw to Vancouver. Before she could finish the book, Bluman died of cancer in 2001. Her daughter, Danielle, later completed the story. 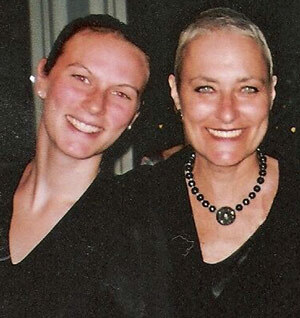 PHOTO: Danielle Schroeder (left) contributed the afterword to her mother (right) Barbara Ruth Bluman's family memoir. I Have My Mother's Eyes begins long before the outbreak of war. As the daughter of a successful businessman, Zosia Hoffenberg led a comfortable life in Warsaw and fell in love with eighteen-year-old Natek Bluman. While learning business skills in New York, Natek heard U.S. media reports and understood the enormity of the threat to European Jews, but when Natek returned to Poland, Zosia's father dismissed his warnings. Three months after the German bombs fell on Warsaw, Zosia joined Natek in the countryside. There they were married and embarked on a long journey to freedom. Through Natek's resourcefulness they managed to reach Lithuania, where they obtained visas allowing them to travel by rail across Russia, then sail from Vladivostok to Japan. Perhaps most significantly, in I Have My Mother's Eyes we learn of Chiune Sugihara, the Japanese Consul in Kaunas, Lithuania, whose courage allowed the Blumans to escape. On July 26, 1940, Sugihara woke to see a crowd outside his consulate clamouring for exit visas. They were desperate people who knew they would be murdered when the Germans invaded Lithuania. Acting in defiance of direct instructions from the Japanese Foreign Ministry, and fully aware of the danger to his own family, Sugihara went ahead and issued the visas. In doing so, he saved the lives of between six and ten thousand Jews. Sugihara is honoured with others of the "Righteous Among the Nations"; at Yad Vashem. 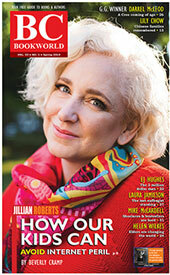 Zosia's daugther, Barbara Ruth Bluman, a distinguished Vancouver lawyer committed to human rights, was in the last stages of cancer when she set down her mother's story, interweaving it with her own. An afterword was written, in turn, by Barbara's daughter, Danielle Schroeder, following the deaths of both Zosia and Barbara, making this a three-generational family project.